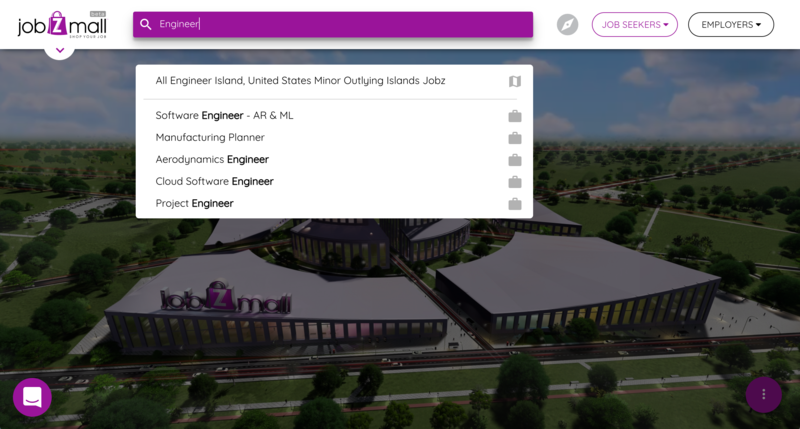 There are multiple ways you can search for jobs at JobzMall. You can start swiping jobs at JobzMall Explore. You can wander around different buildings and floors to windowshop your options. Or you can use the search bar at the top of the page to get more specific results. 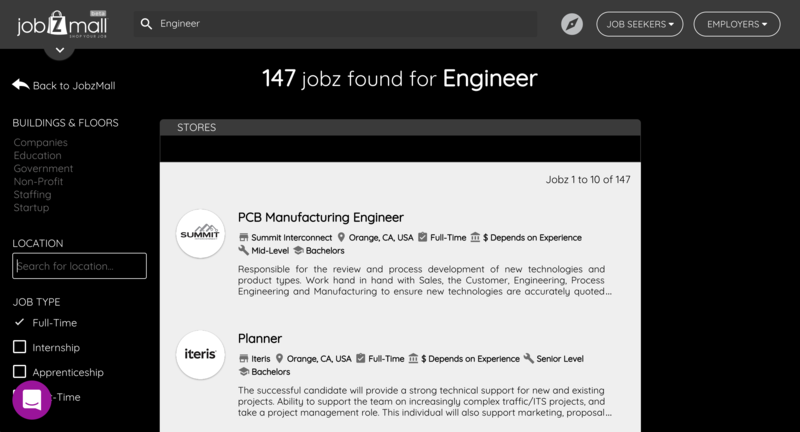 View the most recent jobs on JobzMall. Start swiping and explore new opportunities. Pick which floor you want to explore and click on that floor. 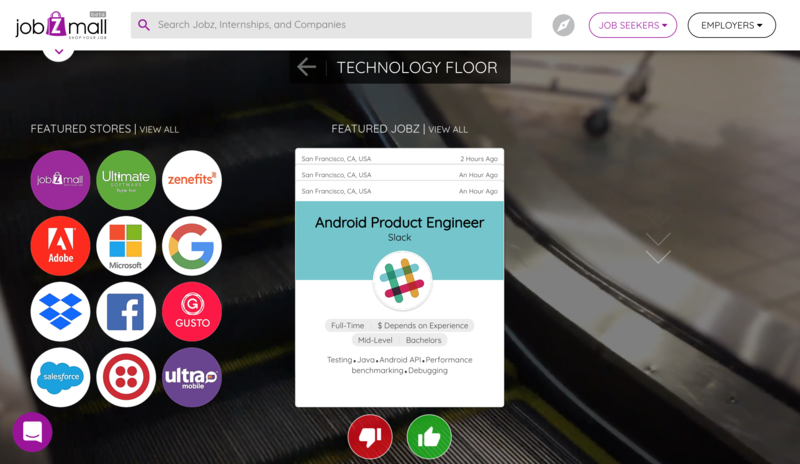 Start swiping featured jobz, or click view all to see all job posts on that floor. 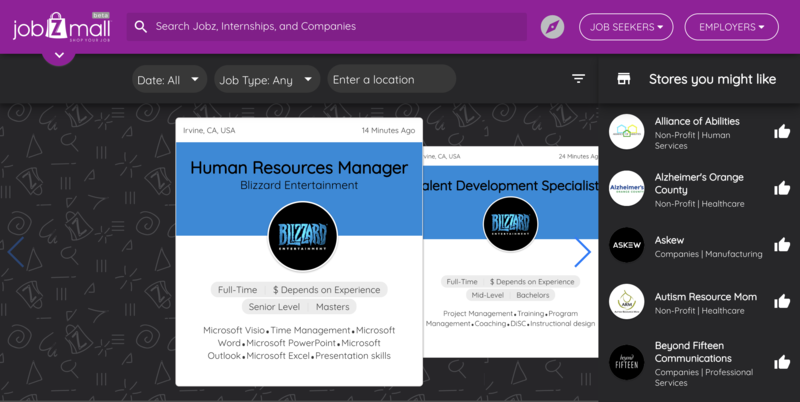 In the search box, type a job title, keyword, or company name. You can specify your results by selecting one of the filters on the left side of the page.